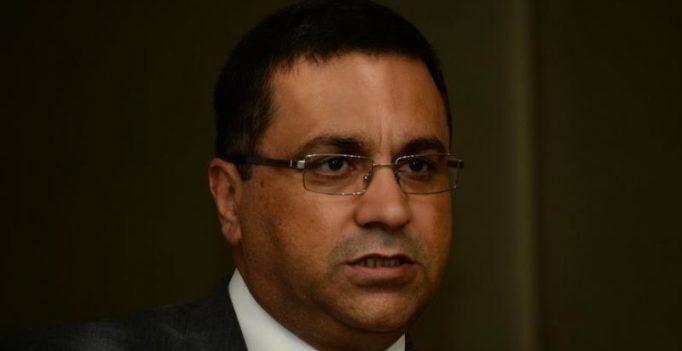 New Delhi: Facing allegations of sexual harassment, BCCI CEO Rahul Johri on Tuesday deposed before the three-member probe panel appointed by the Committee of Administrators (CoA). It has also been learnt that two of the alleged victims have also deposed before the panel even though the dates of their appearance could not be confirmed. “Yes, Rahul appeared before the panel in person before the probe panel. Since two of the alleged victims have already deposed along with COA members and one of the principal office-bearer (treasurer Anirudh Chaudhary), only CEO was left,” a senior BCCI official told PTI on conditions of anonymity. “One of the alleged victims deposed before the panel via Skype. The other was the latest complainant. However, I won’t be able to confirm whether she appeared in person or deposed via video conferencing,” the official said. The panel is to submit its report to the CoA on November 15. The allegations against Johri surfaced when an author, Harnidh Kaur, shared an incident involving an unnamed person, who claimed to be Johri’s colleague during his stint at the Discovery Channel. Johri has worked in various positions with the Discovery channel from 2001 to 2016 before taking over as the BCCI CEO. Believed to be in his late 40s, he became the first CEO of the cricket body after its administrative structure underwent a revamp owing to the Lodha Committee recommendations.